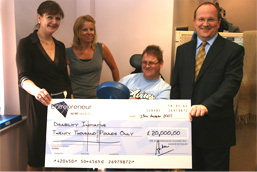 After picking up the local Courier newspaper and reading of local charity Disability Initiative and their appeal for help to raise funds, Surrey based businessman Andrew Reynolds not only made a substantial contribution to help with purchasing vital new equipment but also assisted with financial support to provide a range of enhanced and new activities and therapies that really make a difference to peoples lives. 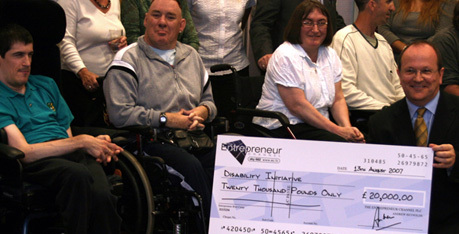 Disability Initiative could not offer any of these without Andrews generosity. The original article ran a story on how Disability Initiative needed to raise 8,000 for 2 MotoMed machines that give movement therapy to people with paralysis, spasticity or other physical weaknesses. Mr Reynolds contribution will now go a long way in helping Disability Initiative continue its work in the community which benefits nearly 100 disabled people in the local area. Founded in 1975 the Surrey based charity helps disabled adults in Surrey, Hampshire and Berkshire, providing services to give disabled adults more independence. Mr Reynolds said When I learnt of how much work Disability Initiative does in providing not just a fantastic facility but also in providing activities, training and on going support to assist with Disabled people getting a job, work placement or even the opportunity to just develop a new skill, I knew I had to get involved. Andrew Reynolds is a successful entrepreneur and philanthropist. 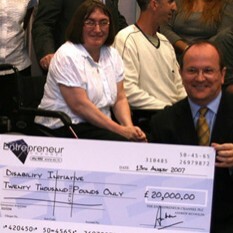 Andrew has helped local charities before and in 2005 funded the provision of a community bus for the local Dial A Ride service based next door to Disability Initiative in Knoll Road. 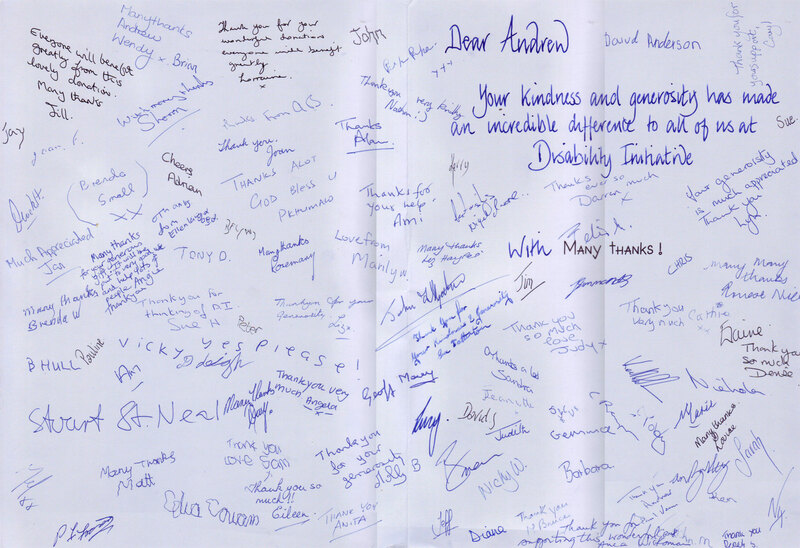 Disability Initiative CEO Lucy Brown said, The entire team were bowled over by not only Andrews huge donation but also in his genuine interest in the work we do. Without the help of local businessman like Andrew we just wouldnt be able to continue with the work we have been doing and now thanks to Andrew and other contributions we have had since the newspaper appeal, we can purchase much needed additional vital equipment as well as extend our activity programme to include additional activities such as drama workshops and therapy programmes.